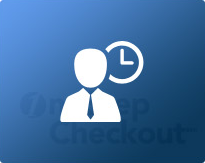 One privilege of OneStepCheckout customers is to have access to our expert tech team. Simple debugging and compatibility support are included in our license fee. However if you want to go beyond and you want to take your checkout to the next level, we can help. Simply purchase our consulting services by the hour. Over the years we have helped many demanding clients customize their checkout the way they want it. With 25,000+ hours experience solely dedicated to checkout for Magento, there are not tasks too small or too big for our legendary team! Simply choose the number of hours and purchase our consulting services here.